This is just a quick list of things I see when working with clients why the cloud would help them lower their costs, increase productivity and efficiency and let them focus on growing their businesses. If anyone can think of any more or even why a small business owner should stay with on premise software feel free to post a comment to the post. Now that the tax extension deadline is one day into the rear view mirror, many taxpayers (and us tax professionals too) would like to take a break away from taxes. This gives me the opportunity to sit back and reflect on some of the more memorable comments I heard during the year regarding taxes and filing. There were quite a few areas of tax law where some taxpayers I spoke with were unclear as to the rules but some of the major ones had to do with extensions with balances due, and failing to file a tax return. When a taxpayer does not have all the information to accurately complete their return by the deadline, the IRS will allow for an extension of time to prepare the tax return. To request an extension, taxpayers must file Form 4868 (individuals) or Form 7004 (businesses) on or before the due date of the return. Typically this is where the misunderstanding starts. An extension of time to file your return does not include an extension of time to pay your tax liability. Taxpayers filing extensions should estimate to the best of their knowledge their tax liability and send a payment when filing their extension. When a taxpayer does not file a tax return by the due date (including extensions) a failure to file penalty may be incurred. This rule has been in existence for quite some time, however many taxpayers are unaware of the penalty. This may also be a good time to notify taxpayers that the failure to file penalty has been increased for income tax returns filed more than 60 days after the due date (including extensions). Returns filed after 2008 qualify for the increased failure to file penalty in which the minimum penalty will be $135 or 100% of the tax not paid. These are just two of the more frequent misconceptions that I personally heard about during the year, but there are more. With all the recent changes in tax law, there are sure to be more “grey” areas where many taxpayers may fall thru the cracks. One the reasons I always say taxes are a year round strategy that can be proactively done with your tax professional instead of reactively at year end. Recently when speaking to a few of the attendees of our small business workshops the topic of business expenses came up and one of the attendees was under the impression that all a business owner needed to validate an expense was their bank or credit card statement. Unfortunately it gonna take a little more than that for it to fly with the IRS. The IRS defines a business expense as a cost that is ordinary and necessary to carry on the trade or business. Expenses are typically deductable if the business is out to make a profit (i.e. not a hobby). If a small business owner is audited, and a review of the business expenses is warranted, it is important for a small business owner to have more than just their bank or credit card statements to substantiate their purchases. The IRS is looking for proof that the purchase was for a business purpose and most statements only provide the date, amount, and the vendor, not what was purchased. A prime example of the IRS not allowing statements as evidence of business purposes can be uncovered in KEITH J. FESSEY, Petitioner v. COMMISSIONER OF INTERNAL REVENUE, Respondent a quick Tax Court case that I recently came across (I like to read stuff like this). In summary Mr. Fessey was not allowed a large portion of his business expenses due to his poor recordkeeping. 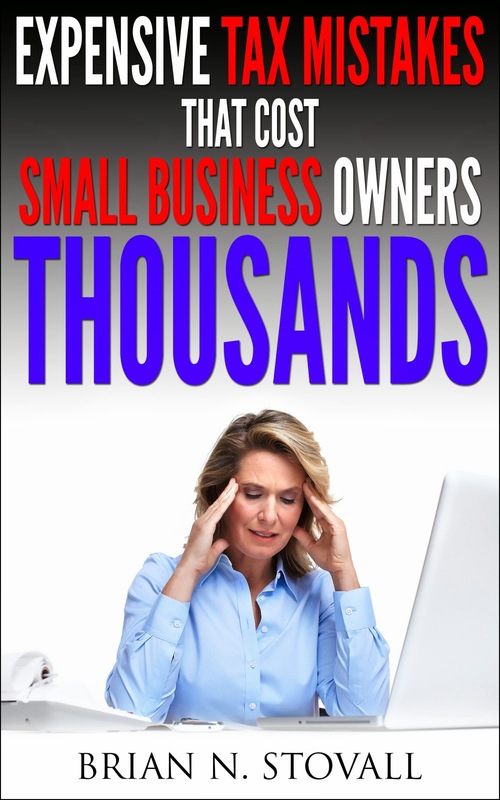 So what is a small business owner to do? Small business owners need to keep the receipts and attached them to each statement so that they are easily recognizable and locatable. There are times however that the receipt can fade and the ink is no longer readable. In these cases, a small business owner can use technology as a backup. By scanning the receipt (and the bank/credit card statements) into a file and either store the file within their accounting software, their hard drive or the clouds. There are a great deal of scanning vendors out there for small businesses to use so be sure to Google “receipt scanners” to locate one for your small business. By retaining your receipts and having a backup, a small business owner can ensure that their bank and credit card statements are not too broad for the IRS. For more information on business expenses be sure to speak to your tax professional or read IRS Publication 535.